When Botox injections go wrong, it can have a severe impact on facial aesthetics. This may be the result of turning to someone who is not a qualified plastic surgeon. Although it is not technically possible to reverse Botox injections, Dr. Maurice M. Khosh may be able to offer you non-surgical solutions to even out the effects and improve the appearance of the treated area. It is important to only trust Botox injections to a reputable provider who understands how the muscles react to injections. 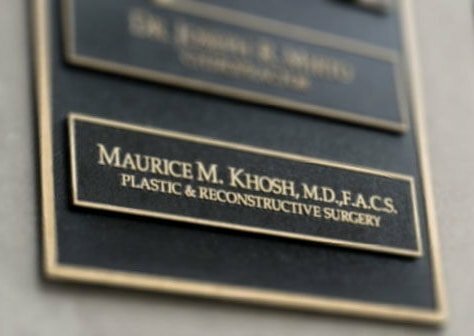 Dr. Maurice Khosh is a highly qualified specialist in the areas of facial cosmetic and reconstructive surgery. When you receive Botox as a treatment from Dr. Khosh, he draws from extensive experience as a plastic surgeon who is dual certified by the American Board of Facial Plastic and Reconstructive Surgery and the American Board of Otolaryngology and Head and Neck Surgery. There are a number of common results that Dr. Khosh would expect to see from bad Botox injections. A completely expressionless face – otherwise known as “frozen face” – is the classic impression most people have of bad Botox. An experienced and skilled plastic surgeon of Dr. Khosh’s caliber understands the anatomy of the face and can limit the freezing of facial features with precision Botox injections. The quizzical eyebrow, which is reminiscent of Mr. Spock from Star Trek, is another example of Botox gone wrong. One or both eyebrows are raised, giving the impression of someone who is permanently in a state of puzzlement. Unfortunately, there is no way to correct Botox other than allowing the treatment to wear off naturally, which can take 4-6 months. Although the terms “Botox” and “facial fillers” are commonly used interchangeably, they are not the same thing. If too much Botox is used, the effects are not reversible. However, Dr. Maurice Khosh is an accomplished plastic surgeon who can offer a specialist consultation to determine whether there are any cosmetic solutions to balance out the impact of bad Botox. Unlike Botox, too much volume resulting from overuse of facial fillers can be reversed in many cases. Dr. Khosh can use hyaluronidase to precisely target the undesired effects and reverse the impact of too much facial or cheek volume by dissolving the hyaluronic acid gel. A consultation with Dr. Khosh will allow him to offer expert recommendations for correcting bad cosmetic work. The only way to avoid bad Botox is by trusting an experienced facial plastic surgeon to carry out the procedure. Dr. Khosh not only has the academic qualifications as a sub-specialist in cosmetic and functional surgery, but he also has extensive experience in delivering optimal outcomes for patients based on a focused consultation. 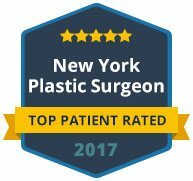 The next time you want to make aesthetic improvements to your face or neck in New York, make Dr. Maurice M. Khosh your primary provider. He understands the anatomy of the face and how tissue, muscle, fat and connective tissues react to Botox and dermal filler injections. With a long history in plastic surgery, Dr. Khosh can achieve the desired results for patients who have had a poor experience with Botox in the past. 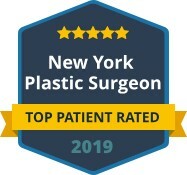 You will have your faith restored in cosmetic treatments for creating a rejuvenated look when you choose Dr. Maurice M. Khosh as your trusted plastic surgeon. Reach out to Dr. Khosh and his team if you have had previous Botox or dermal fillers that fell short of your expectations. Dr. Khosh is an accomplished provider of Botox and other procedures to enhance aesthetics.